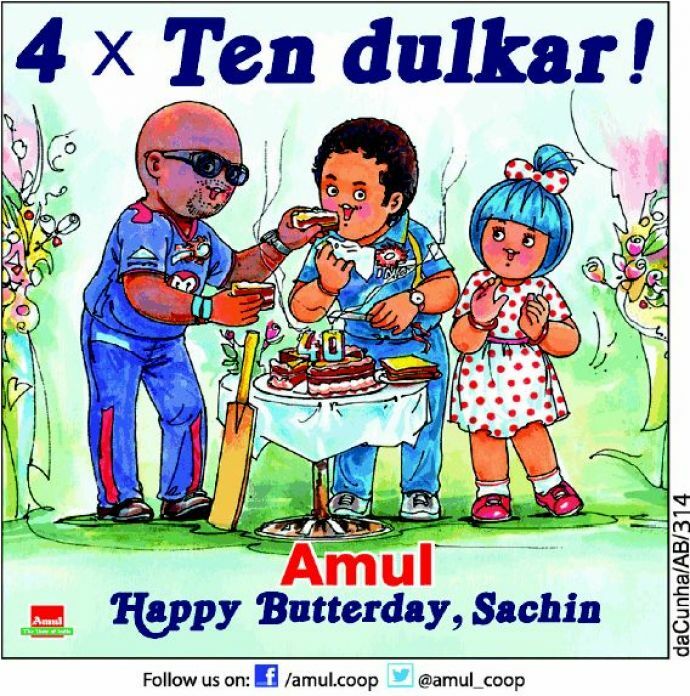 On his 44th birthday eve, Reacho compiled some of the most popular Amul ads about him. 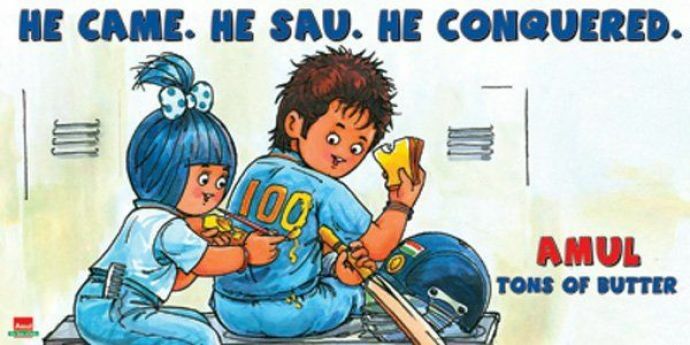 Ever since Sachin Tendulkar became part of the Indian cricket, he has always given us reasons to love him. 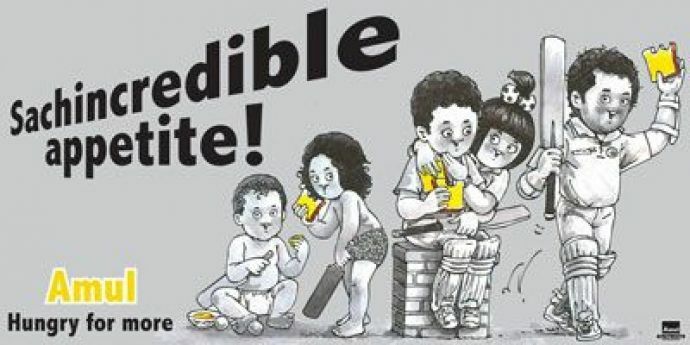 Starting from a curly headed teenage cricketer to becoming the ‘God’ of the sport he is literally became the heartthrob of the Nation. 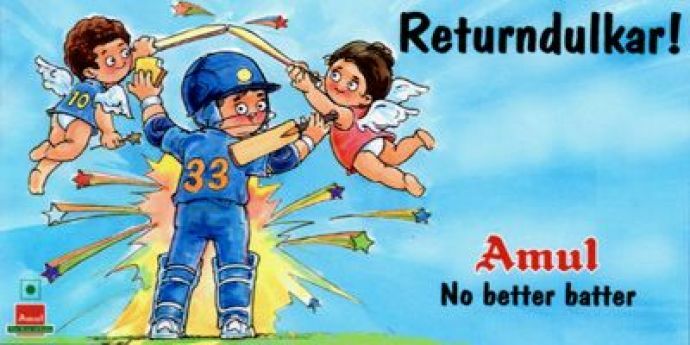 Even after his retirement, he enjoys the same amount of love and respect from his fans. 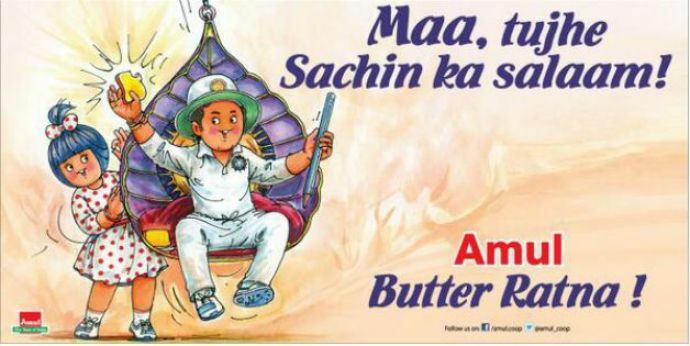 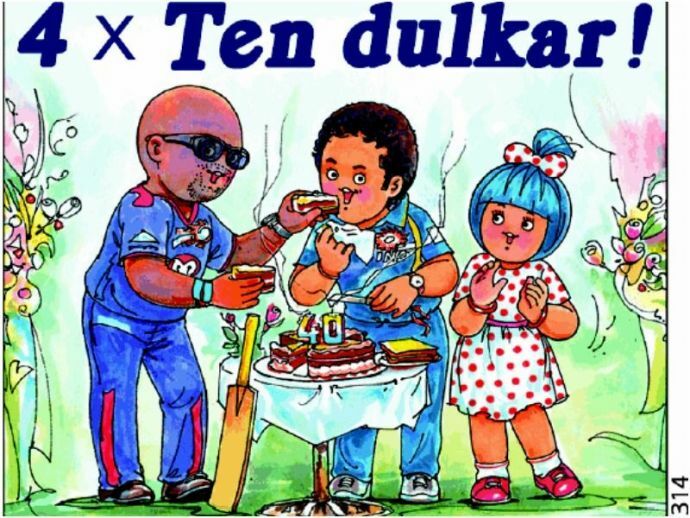 Amul has been one brand that has always produced some of the wittiest and awesome ad campaigns involving Sachin Tendulkar. 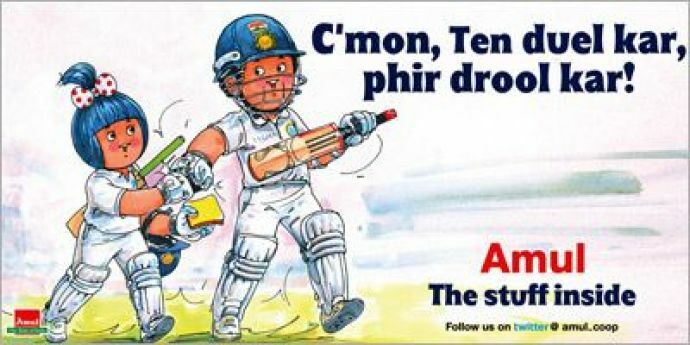 So, on his 44th birthday eve, Reacho compiled some of the most popular Amul ads about him. 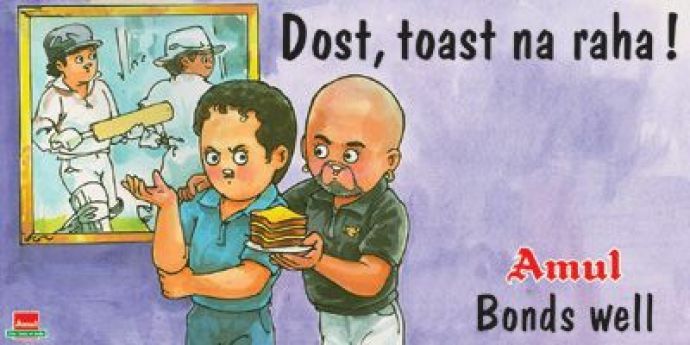 #4 When there was an outbreak over the friendship between Sachin and Kambli. 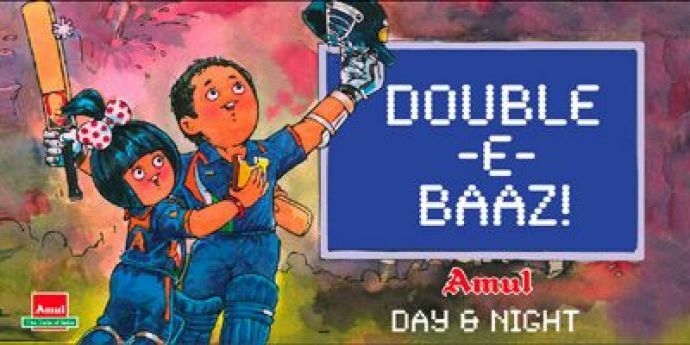 #6 When we realized he had an incredible appetite of making runs! 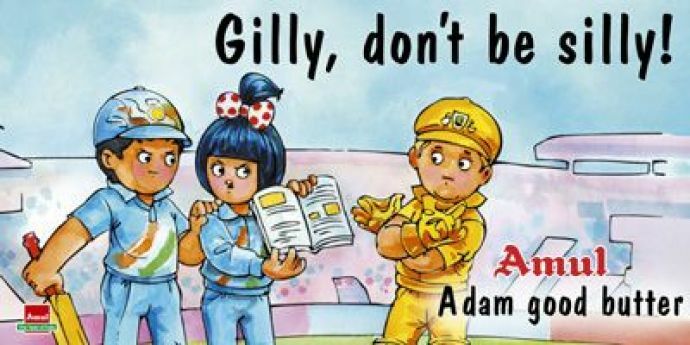 A Bonus one cause it’s his birthday!